If you’ve hit this page then you’re probably interested to find out a little more about us, and why we think you should choose us for your kitchen or bathroom project. As you’d expect, KSW Renovations is a licenced cabinet maker and a member of Master Builders. We’re family owned and operated and we’re truly passionate about what we do and how we do it. We know that the kitchen is often the central hub of the home (it certainly is at our place!) and our focus is to design and build a kitchen that you will love for years to come. But we’re not just about kitchens – we also design and build high quality bathrooms, laundries and all types of custom cabinetry and joinery. We have a mobile showroom so we don’t have the costly overheads that many other companies do, so we can keep our costs competitive and still go the extra mile for our customers. 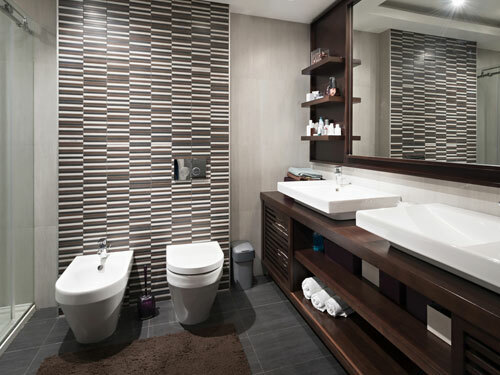 We know that investing in a new kitchen or bathroom is a big decision and we want you to feel comfortable and confident throughout the process. That’s why we work with you from the initial design concept to completion, managing all of the different trades who need to come together to ensure your new kitchen or bathroom is installed exactly as it was designed – with minimal effort needed by you once you’ve signed off on the design. We use Australian made products that are manufactured to the highest quality – you definitely won’t find anything that’s out of shape in one of our kitchens or bathrooms! We use premium quality fittings, manufactured by German companies like Blum, which are built to go the distance. Kelvin is the driving force behind KSW Renovations and he has extensive experience as a cabinet maker. He’s a bit of a perfectionist and his attention to detail is second to none. It’s Kelvin who will meet with you to talk about your project, what your vision for it is and what the best options are for you and your budget. Kelvin will keep you posted throughout the project, so you know exactly how it is progressing. Estelle is mum to their son, Keyandre, a budding builder who loves his bricks and is already following in his father’s footsteps. When she’s not cuddling this little bundle of cuteness she’s focussed on business development and all KSW Renovations marketing activities. She has a Bachelor of Design and is passionate about the build environment. Paul is the foreman of our expert install team and he will be on site to co-ordinate your project and ensure everything runs smoothly. He specialises in installations, loves what he does and delivering amazing results. One of the things that sets KSW Homes apart from many other kitchen and bathroom installers is that we co-ordinate all of the trades required to deliver the finished project. You don’t need to spend time co-ordinating trades like the plumber, electrician or tiler, we take care of all scheduling for you. We have a pool of highly experienced and qualified tradespeople who have the same high standards that we do, so we know your project will be completed on time. But if for any reason you prefer to use your own tradespeople, we are happy to work with them to ensure that the project runs smoothly. 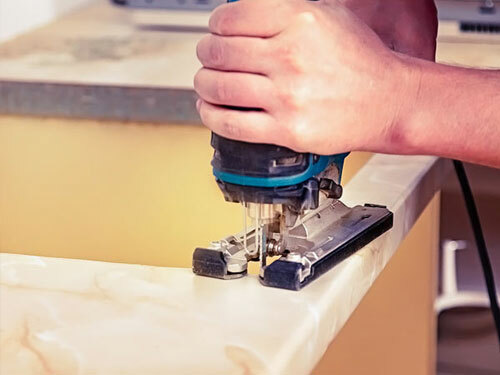 We manage your project every step of the way, giving you the peace of mind that comes from knowing a leading Gold Coast kitchen & bathroom renovation company is running your project. If you’re thinking about a new kitchen or bathroom, give us a call and we’ll come to your place for a completely obligation-free consultation, and we’ll show you design options that fit with your vision and budget. 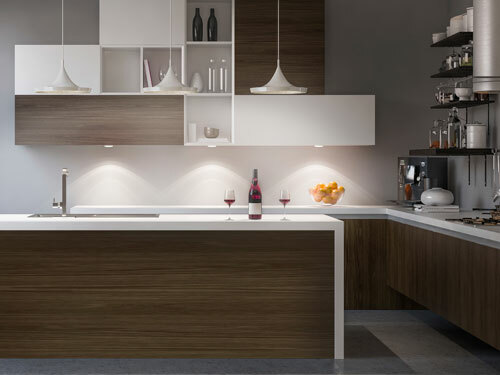 When you work with us, you’ll see detailed 3D designs of your new kitchen and bathroom before you accept our quote – it’s just one of the things that sets us apart from many other kitchen and bathroom design companies. We put the time and effort in because we love what we do and we know that it’s often hard to visualise the end result just by looking at a sketch. As required by the Queensland Building and Construction Commission, any works exceeding $3,300 come with a 6½ year warranty. Stone benchtops usually come with a 12 year warranty, however this may vary depending on which company you choose. The cabinetry usually comes with a 10 year warranty however it may vary depending on what materials is used.